" a portrait of my daughter once a week, every week, in 2014". Last week I loved this shot of a stately little man, and the light in this capture at boy eats kasha is just so beautiful. Look at that joy! 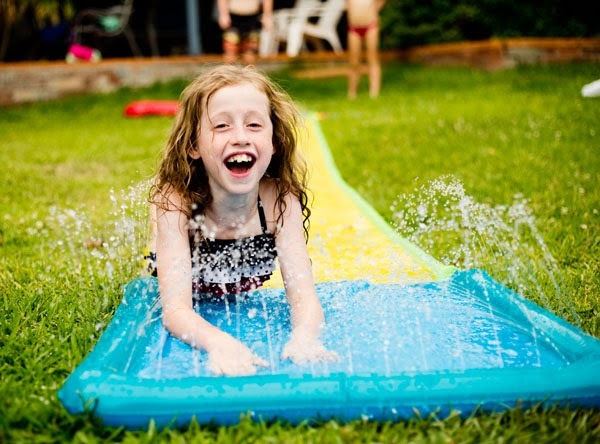 Such a great summery shot - gotta love water play on a hot summers day! That's for sure Kirsty! I only wish I was still small enough to ride it! Stopping by from the 52 Project -- this is a beautiful photo! Love her smile! Dishwashing liquid always made it better, didn't it?! Lots of fun! But terrible for the lawn! Isn't it wonderful to follow each other along for another year! This makes a beautiful and so joyful portrait. Stopping by from the 52 project as well. Awesome shot of your daughter!